This case was handled by our Paralegal, Amy Patton, who works out of our Columbia, MD Office. We want to congratulate Norma Guevara, a paralegal in our Spanish Department, who was just married. She has been with Portner & Shure for 9 years and we are all so happy for her and her husband. Norma already has two kids and recently adopted a third child. All three of them are happy for their mom and very excited about the marriage. Norma and her husband, Pedro, celebrated their honeymoon on the beautiful island of Puerto Rico. Congratulations Norma and Pedro! On June 24, 2016, our client was involved in a rear-end car accident in Prince George’s County, Maryland. Just this month, Portner & Shure attorney, Kevin Ruby, and our litigation department helped settle this case prior to trial. Initially, Geico denied liability as they typically do in a low-impact rear-end accident. We filed suit to argue this matter in court. With trial just a few weeks away, Geico made an offer to settle the case. After negotiations, a settlement was reached for $7,850.00. Our client was very happy with this result. If you’ve been injured in an auto accident, talk to an attorney first. Everything you say to the insurance carrier can be used against you in your case and it can significantly limit any possible recovery. Call Portner & Shure today for a free consultation: (301) 854-9000; (410) 995-1515. Is there a Magic Formula for Determining Settlement in a Car Accident Case? · Instead, negotiations with the carriers often first seem like a chess match. Then, if not resolved, a war. · Your attorney’s reputation will impact the settlement value. Don’t choose a lawyer that does not litigate because the insurance carrier will know that and will take that into consideration when evaluating a case for settlement and during negotiations. · Call Portner & Shure today for a free consultation if you’ve been injured in a car accident, (301) 854-9000, (410) 995-1515. Join us in welcoming back our Spanish Department Paralegal, Diana Ramirez, who returned to work this month after giving birth to a healthy baby boy, Nathan Alexander. Diana gave birth to Nathan on September 30th. Diana enjoyed all the time she spent with her son during her time off. Some of her favorite things she did with Nathan included watching movies and taking him out for walks in the park. Big sister, Isabella, loves having a little brother to play with. Isabella also loves to help her mom prepare Nathan’s bottles. Portner & Shure is very happy to have Diana back in the office and she is happy to be back at work with all of her co-workers. Let’s congratulate Diana on the birth of her beautiful son, Nathan! This case was handled by our Paralegal, Christine Airey, in our Columbia office. Recently, Portner & Shure attorney, Kevin Ruby, obtained an excellent result in a serious rear-end accident caused by a drunk driver. Our client was a passenger in a vehicle that was rear-ended by a drunk driver while stopped at a red light at the intersection of Route 40 and Ridge Road. Our client suffered more than $25,000 in medical expenses, as well as a significant amount of lost wages. He endured nearly four years of treatment for his injuries in the accident. The liability insurance company did not make an offer to settle the case. We proceeded with trial in the Howard County Circuit Court. The jury awarded our client $260,000.00. There is a new study by Johns Hopkins that shows that 10% of all U.S. deaths are due to medical error. We often are naïve when it comes to doctors making mistakes, when in reality, doctors make mistakes all the time and sometimes these mistakes result in death. With insurance companies taking more profits from doctors, doctors are making cuts to protect their income, and as a result, doctors are providing a diminished level of care to patients. Many doctors are now more worried about getting patients in and out rather than provided the best care possible. We can’t make healthcare great, but we can get you compensated for these dreadful errors. Call Portner & Shure today for a medical malpractice consultation. Statistics for 2015 were recently released and they show that more than 35,000 people lost their lives in a traffic accident in the United States last year. This is the first increase in fatal accidents year-over-year in the last 50 years. Even though cars have become significantly safer over the last several years, there are more drivers on the road today and there are more distractions for these drivers. In Baltimore City, like any other big city, serious accidents are a common occurrence because of the high volume of traffic. In fact, Baltimore has led statistics in Maryland with the most fatal accidents attributed to running red lights. If you have lost a loved one in a fatal accident in Baltimore, call Portner & Shure today for a free consultation. Join us in welcoming Alma to the Portner & Shure family. She recently joined us as a Spanish-speaking receptionist and legal assistant. Alma’s family is from El Salvador, however, she was born in Washington, D.C. Alma has three children, David, Joel, and Sarah. She also has a three year old Maltese/Yorkie mix named Baby. Outside of work, Alma loves to go hiking with her kids, watch movies, and listen to music. Alma is enjoying her time here at the firm so far and is excited to learn a lot. Portner & Shure has been selected by Corporate America as winner of the Innovation in Client Services 2016 Award. This award we are extremely proud of because our selection was dependent on our client testimonials and recommendations. We strive to make sure our clients are extremely satisfied with the services we provide them. With numerous 5.0 star reviews on Google+ and Facebook, our reputation speaks for itself. We know that quick and easy communication is one of the most important things a client requests from their attorney. Therefore, we pride ourselves on making sure there is effective and immediate communication with all of our clients so that no question goes unanswered. Corporate America even acknowledges that Portner & Shure excels beyond its competitors in regards to business acumen, team approachability, and innovation when approaching client services. As a successful Maryland, DC, and Virginia auto accident law firm, we are very proud to be recognized for an award based solely on outstanding client testimonials. Portner & Shure would not be the firm it is today, with over 25 years of service and $200 million recovered for injured accident clients, without the numerous positive client reviews we receive every day. If you have been injured in an auto accident in Maryland, call us today for a free consultation. This month, Portner & Shure won yet another case against Geico where there was no settlement offer made. In fact, Geico denied all liability because they alleged there was a phantom vehicle that caused the accident. Our client suffered shoulder pain and a thumb injury in this crash that happened when the Defendant failed to yield to our client’s vehicle while merging onto I-295. In Court, the Judge determined that there was no phantom vehicle and it was the Defendant that caused the accident because of a failure to yield. The Court awarded our client $12,000 plus court costs. Attorney, Kevin Ruby, successfully argued this case in Court. There is a new trend among drivers today: dashcams. In motor vehicle accidents and in criminal cases, the facts of the event are often disputed between the parties involved. The use of dashcams by civilians has been increasing as a means to avoid being caught in a he said/she said situation. If you choose to protect yourself by installing a dashcam in your car you need to know some important facts about the law. o (1) It’s 100% legal to record video of people, including the police, in public. If your dashcam is recording video outside of your car, on the highway for instance, it doesn’t matter if the parties being recorded are aware of it. o (2) If your dashcam is recording audio inside the car, this is considered a private place, so be careful of running afoul of Maryland’s wiretapping law and be sure your passengers are aware of the recording. If you’ve been injured in an accident or were pulled over by the police, the attorneys at Portner & Shure can help you prove your version of the events, whether it was recorded or not. Call us today for a free consultation. This case was handled by our Paralegal, Norma Guevara, who works out of our Columbia, MD Office. Join us in welcoming Cindy to the Portner & Shure family. She has been with us for one month now and works as a receptionist and legal assistant. Cindy was born in the United States, but her family is from El Salvador. Cindy is fluent in Spanish and works with our Spanish department. She currently attends Bowie State University and is finishing up her last year. Cindy has a younger brother and a dog named Prince that she likes to spend time with. Outside of work, Cindy is a diehard Redskins fan and a Barcelona soccer fan. She also enjoys cooking and travelling. This month, our attorneys were successful against Geico yet again in an auto accident case where liability was denied and no settlement offer was made. In this accident case, our client had a green light and was proceeding straight when the defendant made a left turn directly in front of our client, cutting her off and resulting in the crash. Our client suffered numerous injuries, including to her back, foot, shoulder, and eye. Medical expenses totaled more than $7,000, yet Geico refused to accept liability or make our client an offer to settle the case and avoid litigation. Our attorneys were forced to file suit because of Geico’s refusal to negotiate a settlement. Our client received a verdict of $8,448 plus court costs. This month we want to recognize some accomplishments of our law clerk, Alex Adler. He graduated from law school at the University of Baltimore School of Law this past May. Just a few weeks ago, Alex took the Maryland Bar Exam and is awaiting results, which will be released in a couple of months. Alex just returned back to work after enjoying a European vacation to London, Barcelona, and Ibiza. Finally, we are closing in on Alex’s 2 year anniversary with Portner & Shure, and we look forward to having him in our family for many more years to come. 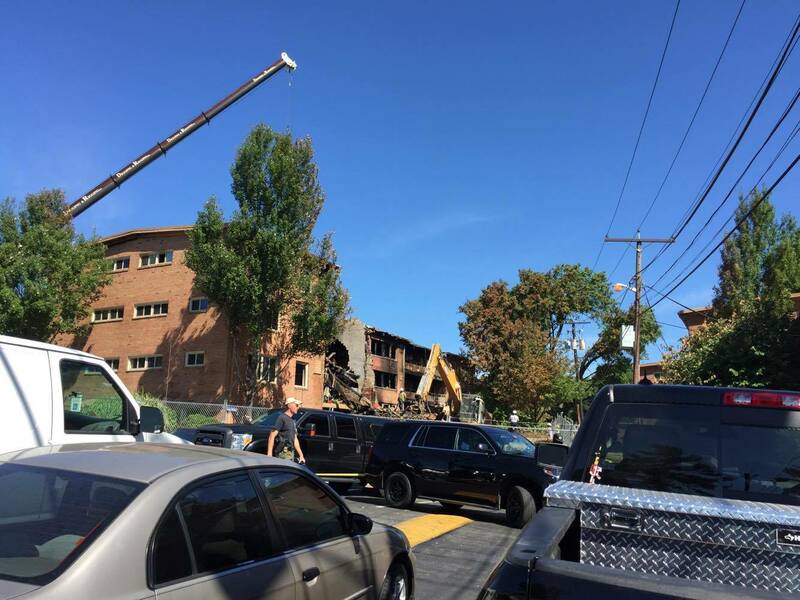 The Silver Spring community is still recovering from the devastating apartment building explosion from last week. The cause is still under investigation, but many suspect a gas leak to be a contributing factor. Just weeks before this horrendous explosion, residents reported smelling gas. A personal injury case resulting from an accident like this can yield not only the standard compensatory damages for pain and suffering, but also punitive damages. If it can be proven that the property management for the apartment complex were aware of a gas leak and elected to do nothing in order to save some money, punitive damages, or damages meant to punish the defendant for their inaction, may be appropriate. With the recent devastating apartment building explosion in Silver Spring, we thought it was important to address the law surrounding this issue of premises liability. A blast of this magnitude usually would not happen absent some form of negligence. A property owner owes a duty of care to maintain safe premises for its tenants and any visitors. The property owner is responsible for common areas within the property, including lobbies, stairwells, and hallways. A property owner cannot be held responsible for unforeseeable dangers because they had no way to expect that this type of danger would occur. However, if the property owner knew or should have known of a danger and a tenant is injured because of that, the property owner can be held liable for the harm caused under the theory of negligence. One example of where a property owner could be held liable for damages caused would be if a tenant reported to the property management that they smelled gas. The property management noted the report, but nothing was ever done after that to investigate the problem further. At a later time, an explosion occurs that is determined to be caused by gas. In this example, the property owner had notice of the potential hazard before any harm was suffered, yet no action was taken to correct the problem. As a result, the problem worsened and led to an explosion, which killed and injured several people. While we wait to see what the exact cause of the explosion was, it is important to remember that property owners can be held liable for negligent acts or even lack of action that results in serious injury to another. If you or a family member have been injured or killed in an accident caused by the negligence of someone else, call us today for a free consultation at (301) 854-9000 or visit us online to learn more at www.portnerandshure.com. In May of 2015, our client N.K case number 212174, was made an offer of 25,000. Farmers insurance company refused to increase this offer, and merely claimed our client had a significant amount of preexisting problems. We filed suit and set times for the surgeons to be deposed as a means to convince the insurance company that this surgery was related. We obtained the policy limits a month before trial and reached a $100,000 settlement. Labels: "accident lawyer in maryland", "accident lawyer", "accident on ordance road in glen burnie", "accident with unmarked police vehicle"
- When a medical professional, for example a doctor, a nurse, dentist, technician, hospital, or other health care provider, causes harm or death to a patient by FAILING to provide SUITABLE care. - Examples include misdiagnosis, surgical errors, nursing home abuse, birth injuries, and prescription errors. Additionally, sub-standard care and failure to perform a necessary function in order to prevent harm to a patient are also examples of medical malpractice. - A consent form does NOT release a physician from liability who was NEGLIGENT in performing a medical procedure. If your doctor deviated from the applicable standard of care in performing a procedure and you were injured as a result, signing a consent does not waive your right to bring a medical malpractice claim..
For example, the procedure may be complex from a medical standpoint, and can come with known risks, and the “error” was simply an offshoot of these risks. Complications are often not considered as medical malpractice and most of these are contained on the consent form the patient signed before the procedure. If there were no tangible “damages” from this negligence, there is no ability to file a medical malpractice claim. A quantifiable harm to the patient is required. There must be a CAUSAL link between the mistake and the MEASURABLE harm inflicted to the patient. This means that if not for the error, the patient would not have experienced a worsening of his or her health. Labels: "accident on ordance road in glen burnie", "Accidental death benefits"
When you've been involved in a motor vehicle accident, it's not at all uncommon for the other driver's insurance company to make you an offer very soon after the accident, and before you retain an attorney. Frequently, the insurance company will offer an amount to pay medical bills you incur within a month of the accident plus a modest amount for your pain and suffering. The offers generally range from $500 to $2,000. In the first few days after the accident, the figure being offered may seem like a great deal, but accepting a settlement without consulting with an attorney first is simply a huge mistake for several reasons. If you accept a settlement before you know the full extent of your injuries and expenses, you will seriously short change yourself and may end up having to pay medical expenses out of your own pocket. The insurance companies make these offers solely in hopes that they can get out of the case for much less than their actual exposure. An attorney can help you coordinate your treatment with medical providers that won't insist on payment up front. This way you can afford to wait to settle until you know the true value of the case. An attorney can also help you assess the value of your case to ensure that you are getting a fair settlement. In almost every case, an attorney can get you a much bigger settlement than what you can get on your own, enough to cover any attorneys' fees and still put a good sum in your pocket. If the insurance company is making you an early offer or seems overly eager to close your case and send you a check – just say no. In all instances, this is a huge red flag and you should have an attorney review your case immediately. Labels: "accident news", "accident reconstructionist", "accident related injury", "Accidental Injury", "accidents caused by cell phone use", "accidents caused by texting while driving"
What's All This PIP About? In Maryland it is mandatory for all drivers to carry car insurance by a state recognized provider. In order to protect yourself and others, it is required that your policy covers a minimum of 15K for property damage, 30K for bodily injuries, and at least 60K for the coverage of two or more individuals. While one is forming an insurance plan, Maryland offers something called PIP, this stands for personal injury protection. Now what exactly does PIP do? Personal injury protection covers medical bills for any injuries you may have obtained during an accident. Coverage includes other expenses you’ve had to endure in wake of your injuries, and wages that have been lost. There are benefits to having PIP for such a low cost. The policy plan has also been referred to as “no fault insurance”, meaning it does not matter who caused the accident, in order to receive compensation. Additionally, PIP holders have the potential to recover twice for their damages. In cases where the other driver is at fault, you are able to recover wages and medical expenses from both their insurance company, along with your own insurance carrier. If you were interested in adding PIP to your plan, Maryland has a minimum requirement amount of 2.5K. Adding PIP to your plan is generally only a few extra dollars a month. However, it is wildly beneficial to invest a little extra into your PIP package; the more you invest, the more you receive. A pickup truck and a motorcycle were involved in a deadly accident this afternoon along Coastal Highway. Before the accident occurred, police were attempting to pull over the motorcycle for a traffic violation. The motorcyclist sped off to avoid the police around 26th Street. The exact details surrounding the crash are unknown at this time. However, we do know that the motorcyclist did not survive the crash. It is likely that in attempting to evade the police, the motorcyclist was speeding and that might have played a role in the accident. Coastal Highway between 26th and 28th Streets is still closed while police investigate. Early this morning on I-270 in Clarksburg, a fatal car accident occurred. There was a disabled vehicle stopped in the lanes of travel on the highway. Another car hit the disabled vehicle from behind, which resulted in the death of the disabled vehicle’s driver. The driver of other vehicle was injured in the collision, but suffered non-life threatening injuries. Police investigation into the exact cause of the crash continues. At this point, alcohol does not appear to be factor in the accident. Disabled vehicles always pose a danger on the road to themselves and to other drivers. It does not matter whether the vehicle has made it to the shoulder or is stopped in a lane of travel; it is still dangerous. Darkness at night and inclement weather make it even more dangerous if your vehicle becomes disabled on a highway because other drivers might not see you or will not be able to stop to avoid a crash. If your vehicle becomes disabled, you should always make sure your lights are on and your hazard lights are flashing so that other cars can see you and avoid an accident. Remember, if you are injured in an accident, you should seek medical attention immediately to treat the injuries you sustained. It is also important to call the police to the scene to document that the other driver was at fault and to collect information on all parties involved and any witnesses to the crash. Finally, it is important to hire an accident injury attorney to get involved and fight for the compensation you deserve. This month, our attorneys were successful in two auto accident trials against Geico. For 2016, Geico instituted a new policy for minor impact low property damage accidents to open settlement negotiations with an offer and then refuse to negotiate in good faith any further. In both of these Montgomery County, Maryland rear-end accidents, our clients were injured and sought chiropractic treatment for their injuries. Our attorneys were forced to file suit in both cases because of Geico’s refusal to negotiate a settlement. In the first case, our client received a verdict of $7,395. In the second case, our client received a verdict of $8,780. Instead of trying to negotiate a fair settlement for both clients, Geico adjusters refused, and as a result, they were forced to pay more money in Court than if they would have been willing to negotiate both claims in good faith. Our attorneys have certainly noticed a pattern here with Geico since they began using this new policy, and if this continues, we will not hesitate to continue filing suit. Recently, Portner & Shure settled a rear-end accident case in Prince George’s County, Maryland for $100,000. Two years ago, our client was rear-ended on I-495 near the Virginia state line. As a result, she sustained numerous injuries, the most severe of which being her shoulder, which was torn in the accident. Our client required two surgeries in order to repair it, as well as physical therapy. After lengthy settlement negotiations with the insurance adjuster, Mr. Portner and our paralegal, Amy Patton, managed to settle the case for $100,000. Our client was extremely pleased with the result in her case. Prior Accidents - How Will They Affect My Maryland Car Accident Case? If you've been in prior accidents, it may have an effect on your case, but not always as much, or in the way that you would imagine. For example, if you're involved in a case where the other driver claims you are at fault - the fact that you may have caused an accident in the past has absolutely no bearing on fault in your current case. However, if you have sustained injuries in prior accidents, this is likely to be relevant to your current personal injury case. If you've ever made a personal injury claim before, most likely, the insurance company for the other driver involved in your accident will be aware of this. A prior injury doesn't have to be an insurmountable challenge in your case if its handled the right way. The most important thing for you to do is to be up front with your doctors about any prior injuries, even if you made a full recovery before getting injured again. If your doctors are aware of your medical history, their opinions about causation of your current injury will be strengthened. If your doctor does not know about a prior injury, the insurance company may deny the claim, basing it on the fact that your doctor was not aware of your history. If you've had a prior injury and you recovered and completed treatment before your current case, it shouldn't present too much of a problem for you. It's somewhat more complicated when you are still suffering from an injury, and then you get in another accident. While these cases are a little more difficult, you can still make a claim for the exacerbation of your injury and the additional medical treatment you had to get which you would not have needed otherwise. Again, being forthcoming with your doctor is key. If you are currently treating with a doctor and sustain a new injury, you should tell that doctor right away so it can be accurately reflected in the medical reports. This will be the best way to protect your case. · If you don’t carry your own collision coverage, and you’re involved in an accident where the other driver won’t admit fault, you could be stuck without a vehicle for months. o You may think that you’re a careful driver, who would never cause an accident, so you shouldn’t need this coverage. o And you may really be an extremely good driver – but that doesn’t mean that the at fault driver will always accept responsibility for an accident without a fight. · Consider these common scenarios. o You’re stopped at a red light. Then all of a sudden you feel an impact. You get out of the car and see that you’re the front car in a pileup. § Clearly, this accident is anybody’s fault except for yours. But if the drivers of the vehicles behind you can’t agree on whether it’s the last car that started the whole thing, or whether two of the vehicles actually contributed, you won’t see anyone taking full responsibility and you won’t be seeing a check for your property damage until those two drivers fight it out in court. o You slow down for traffic and get struck in the rear. There’s only one other vehicle that appears to be involved in the accident. But then the driver who rear ended you claims that a phantom vehicle actually caused the accident and pushed him into you. § Again, not having collision coverage will put you in a situation where you’re counting on people to do the right thing. In this scenario you’ll have to wait until your court date before you’ll have your property damage fixed. o Not to mention a serious liability dispute, for example a lane change or red light dispute. These cases often come down to word vs. word and if you don’t have your own coverage, you could be out of a car for good. o Keep in mind that you may have to pay for your own estimate, or pay for the repairs on your own, before you can ask for reimbursement from the liability carrier. The costs you pay to obtain the estimate will not be reimbursed. · If you choose to carry collision coverage you can save yourself a big headache by making your claim through your own insurance carrier if the other driver won’t accept responsibility. o If you’ve been in an accident, the last thing you want to worry about is getting your car repaired or replaced. 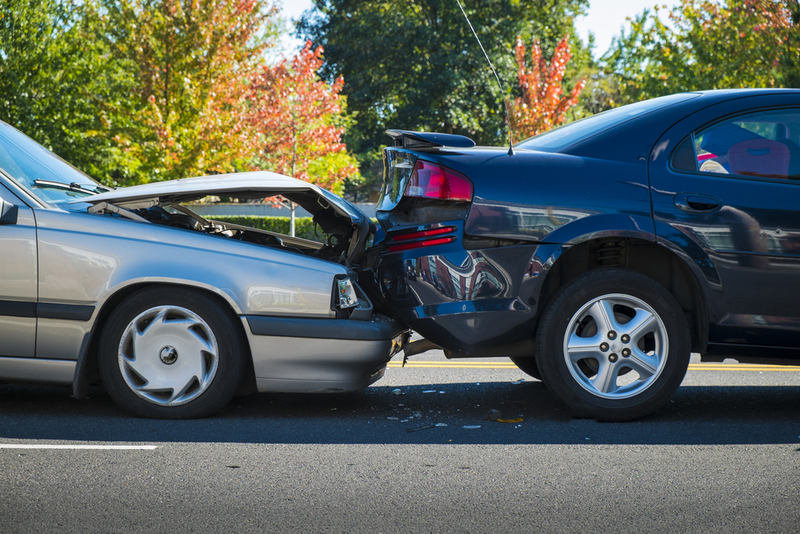 o If you have collision coverage, your carrier will estimate the damage and get the vehicle repaired. o Then they will attempt to recover that amount from the at fault driver – including any deductible you paid. Maryland Car Accident Lawyer: How Much Money Should I File for in my Lawsuit? · When you file a lawsuit for personal injuries, you have to make a decision about how much money you are going to request in your lawsuit. o There are two different trial courts in Maryland – the district court and the circuit court. o The amount of money that you sue for will determine which court to put the case in, and what types of evidentiary and procedural requirements will apply to your case. · The quantity of your medical bills and the severity or permanent nature of your injury are obviously the foremost considerations when deciding how much to file for in your lawsuit. o If you have a very serious injury, for example, a tear in a tendon in your shoulder or knee, or a herniation in your spine that required surgery, the decision is easy – it’s a circuit court case. o But if you had an injury which you were able to recover from and your bills are not astronomical, filing suit in the district court may make more sense for you. o While circuit court cases allow you to request the highest compensation for your case, circuit court cases are also more expensive to litigate and much more time consuming. § (2) In the Circuit Court, you must ask your doctors to testify on your behalf at trial, and you must pay them for their time. This can range from $2,500 to $5,000 or more. § (3) The opposing attorney will be entitled to take your deposition and ask you questions about your prior medical condition or other accidents. There are also fees associated with depositions. § (4) All circuit court cases are heard before a jury, not a judge. § (5) You must attend pretrial conferences, and court ordered mediations. § (6) The entire process can take 18 months to two years. o In the district court you are limited to asking for a maximum of $30,000. o Filing suit in the district court has a number of advantages, despite the cap on recovery. § You will save time, money, and aggravation. § (1) In the district court, you can simply submit your medical records and bills to the judge. You don’t have to ask your doctors to testify or pay the costs associated with their testimony. This will save you $1,000s of dollars. § (2) The trial will be streamlined in front of a judge. You won’t have to go through a jury trial. § (3) You won’t have to attend a deposition or any pretrial conferences. § (4) You can expect the entire process to wrap up much more quickly and with a lot less of your personal involvement.